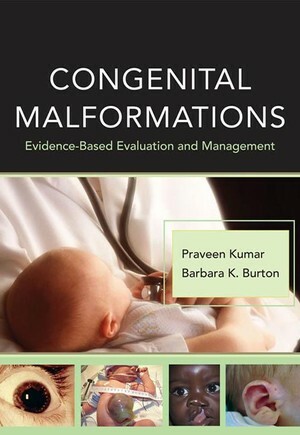 Congenital Malformations is a comprehensive, practical text that highlights key perspectives on the medical management of infants with malformations. With its convenient system-based organization and evidence-based approach, this clinically-focused guide is designed to optimize the utilization of limited diagnostic resources. Easy-to-follow algorithms and tables enable you to rapidly identify and manage the many different malformations that commonly present in clinical practice, such as cleft lip, cardiac septal defects, and skeletal dysplasias. Praveen Kumar, MBBS, DCH, MD, FAAP, is Associate Professor of Pediatrics at the Feinberg School of Medicine, Northwestern University and Attending Neonatology Physician at Children's Memorial Hospital and Northwestern Memorial Hospital, Chicago. Barbara K. Burton, MD, is Professor of Pediatrics at the Feinberg School of Medicine, Northwestern University, and a clinical geneticist at Children's Memorial Hospital in Chicago.